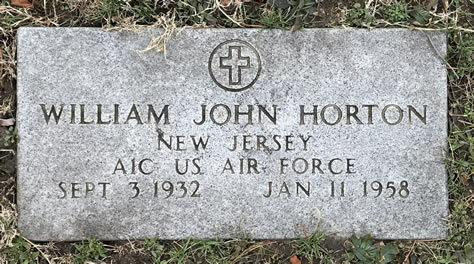 535 Hudson Street, Hackensack, New Jersey reveals that William J. Horton was an A1C (Airman First Class) in the U.S. Air Force and died at the age of only 26. William’s date of birth would put his service if he had joined at 18 years old right at the outbreak of the Korean War. His date of passing is only a few years after the wars end and I have no idea at this present time what brought that about at such a young age. This grave confirms William John Horton’s connection to Hackensack by being buried within its borders since passing and forevermore.